and all these events took place around the time my nephew Nick was born. ﻿﻿﻿﻿ And now the little baby boy that was born to my brother and sister-in-law 22 years ago is a wonderful and handsome young man with a bright future and an adorable fiancé to whom he is engaged to be married to this October. I got to work by first digitizing a monogram on the computer..... this is actually the hardest part because the computer design has to be "clean" enough for the stitches to look neat once it's ready to embroider. Once I'm happy with the design, it's as simple as transferring the design to the computer card and popping it into the machine. Next comes the most nerve-wracking part for me: placement of the design. I have to carefully measure to make sure it's centered perfectly in the middle and not off to one side. After I mark where the design will be, the hoop is placed over the top along with an embroidery "topper" to keep the stitches from sinking into the nap of the towels so the design will look nice and smooth. Once the machine has finished sewing, you just tear it away, leaving nothing but the design. It looks and feels a lot like cellophane, but is a lot thinner and is also water soluble in case it doesn't all tear off at first try. 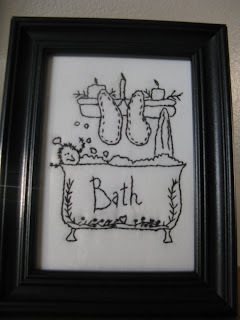 I just had to resize the design to make it smaller for the hand towels and washcloths. 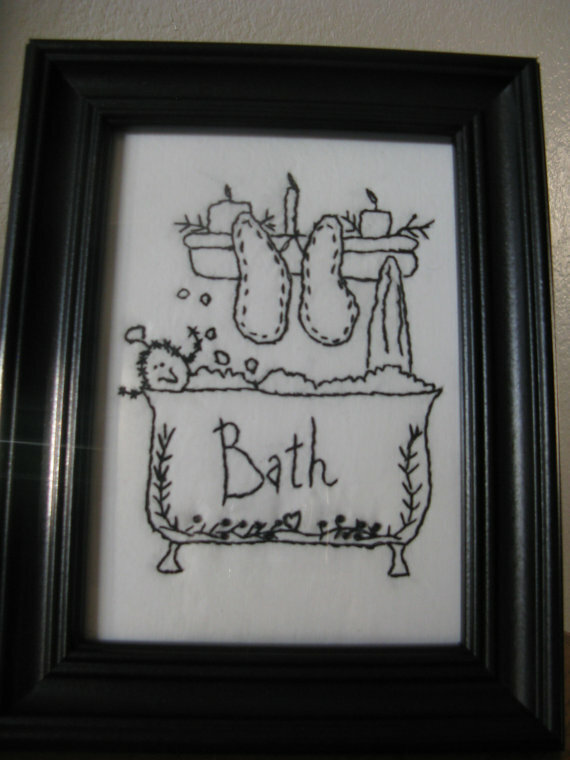 I also commissioned my friend Dani, who has a wonderful new ETSY shop, to make a special stitchery for their bathroom- done in black work with a black frame. Thanks, Dani- I know they're going to love it. Time passes so quickly, doesn't it? Lovely... I wish my machine could do that but I probably couldn't figure it out enough to make it do it... grin. Yes, they all grow up so fast.. I'll have you know I stopped by about an hour ago because I hadn't seen any movement from this way. Ya know, talk about flying time, my first grand is 13. What terrific gifts you give - and he does look like a keeper. You did a super job on the towel and its sure to be a wower when they open the gifts. I know all about digitizing and the rest, it will fry your nerves and serve them on toast. You lay out 15 times as you can only stitch once then you pray the lights dont go our in the middle of stitching or the needle breaks. But I know that does not happen to ...Right? hehehehe. 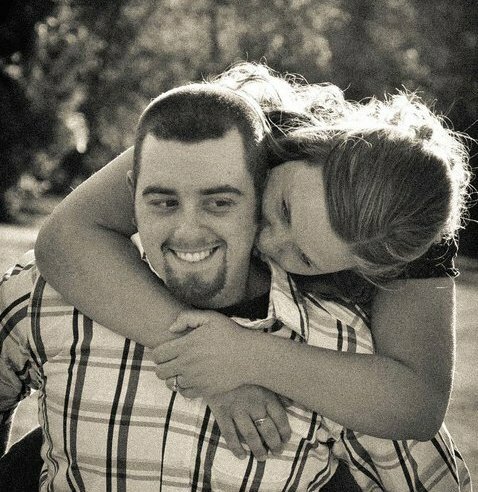 I wish many wonderful blessing on the new soon to be married couple, they do make a sweet couple. oh, what a great gift! and your personalized touch for your FAVORITE nephew is perfect!!! I sure am impressed with your monogramming! It's beyond my abilities:( The bathroom stitching is just perfect to go with the towels. Who WOULDN'T love them!!! Your nephew is the same age as my eldest son. So nice you have a close relationship. What a beautiful gift for the happy couple! You're such a sweet aunt, Paula! What a cute couple and such a great idea for a gift. I would love a lot of white towels with all my kids initials on them in bright colors. Can't stop time...sigh....Congratulations to them!!! Your gift is Beautiful Girl!!!! That's a beautiful job well thought out. I have a towel with our last name that was commercially done more than 63 years ago that belonged to my Mother in law, I grabbed it up and will pass it on to my Son,for his Grandson who was born this year. Looks very fancy to me! How thoughful and so personal. I am sure Nick will say you are his favorite creative, talented and loving aunt. I know if I got those gifts I sure would. That would ensure I would get more! lol! I love the bathroom picture done in black. Fits perfectly. Oh, he's grown into a very handsome young man! That was a great personalized idea! Very, very nice gift! That's way above my ability! 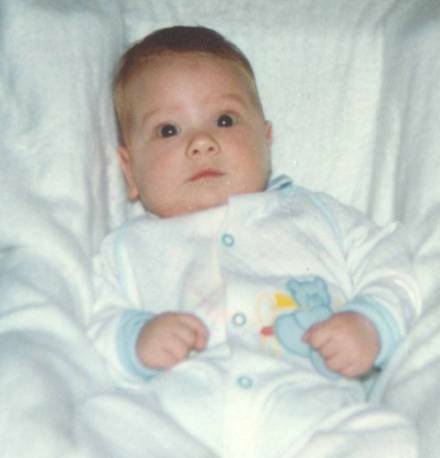 My first grandson was born in 1989; where did the years go? Hey Paula! Nice to meet ya. Thanks for visiting my blog. Vickie is such a sweetie, isn't she. Enjoyed my visit here. Wow, those towels are beautiful and they will love them. I like that picture of them. Time it does fly by. I am going to have to look for that topper stuff. I used stabilizer on the top and bottom to get the thread from not showing up. That looks so much easier. You did a great job and I am sure they are going to love it :-)! Time sure does fly by doesn't it?! Aw, that's such a nice gift, Paula! I know they'll treasure those towels every time they use them. Didn't the time go fast! He's grown up to be a very handsome young man! I didn't realize so much was involved in doing the digitizing, etc. It was so interested to see and read how it is all done. You did a beautiful job, Paula, and I'm sure it will be the perfect gift! Dani's stitchery is a wonderful addition. Time flies, doesn't it???? They grow up so fast. Congratulations to the happy couple! Our Mallory is 16. She has gotten her first kiss recently. Sadly, her parents are punishing her for it. You seem to have been blessed to be part of a special young man. Yes... time does pass too quickly ! And, I know they are going to love those very special monogramed towels. Very cool! You are an awesome aunt! What great gifts! I have some special nephews, too. Have never tried monogramming anything....would love to give it a shot. Come by and visit my blog....I've been so off and on these last couple of years, some people think I've dropped off the face of the earth. But, now I am FINALLY online!!!!! And, I hope you will come by and see what's going on with me. Take care!